This is not a Aerus® OEM product and is not covered under any Aerus® manufacturer's warranty. Please check your manufacturer’s warranty with regard to the use of non-Aerus OEM parts. eVacuumStore.com provides no warranty or guarantee with regard to the product or its compatibility with your Aerus® product. The Aerus® and Guardain® brand names and logos are the registered trademarks of their respective owners. 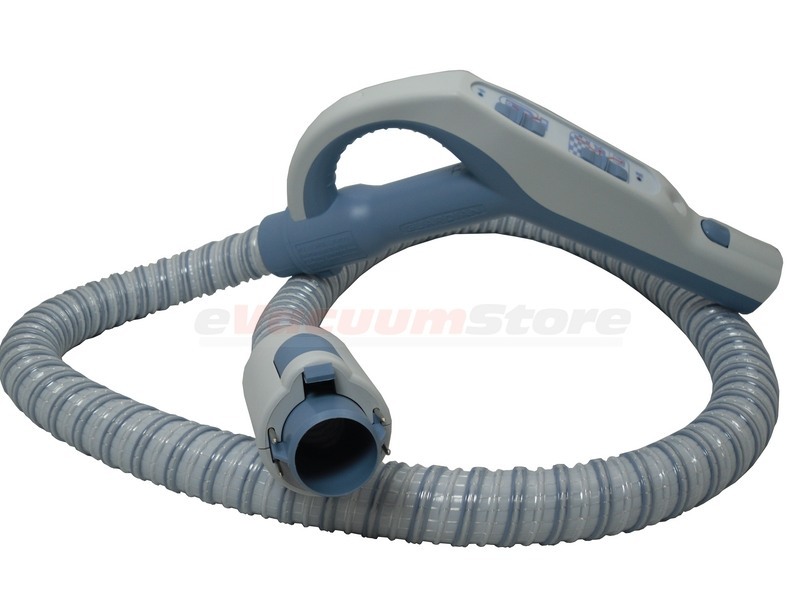 Any use of the Aerus® brand name or model designation for this product is made solely for purposes of demonstrating compatibility. Although this hose and attachment seem to be new, I found that the push button to connect/disconnect the main hose connection to the basic hard plastic hose that connects to the sweeper does not work properly. It can be pushed down, but it does not connect right. Right now, it "sort of works" but I have doubts about how long I will be able to disconnect the main hose to attach another device. It is not perfect like it should be for the price I paid for it. Answer:This hose is available in gray, you will have to call to order 866-972-8227.